I had einkorn flour in my cupboard from my sourdough bread attempt-making days. 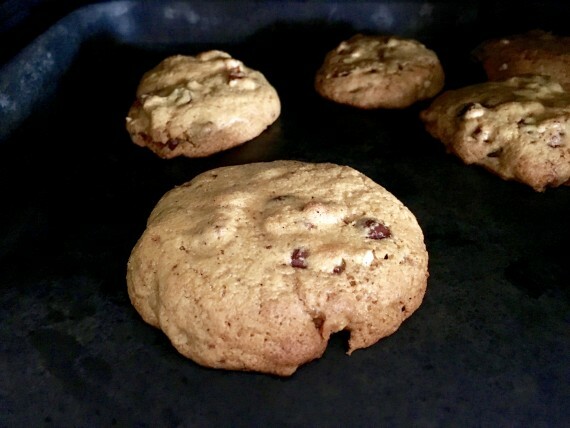 I wanted to use it, and I decided chocolate chip cookies would be perfect because I could make them with my daughter, creating memories and giving us an opportunity to homeschool through it. I found a recipe online and the thing that stuck out from it, apart from all of the yummy real food ingredients it had like grass-fed butter and pasture-raised eggs, it recommended freezing the dough in balls and then cooking them -> only a few at a time. I can make a batch of cookies, only bake a few, and freeze the rest so I don’t eat them all at once. And… that’s what we did. 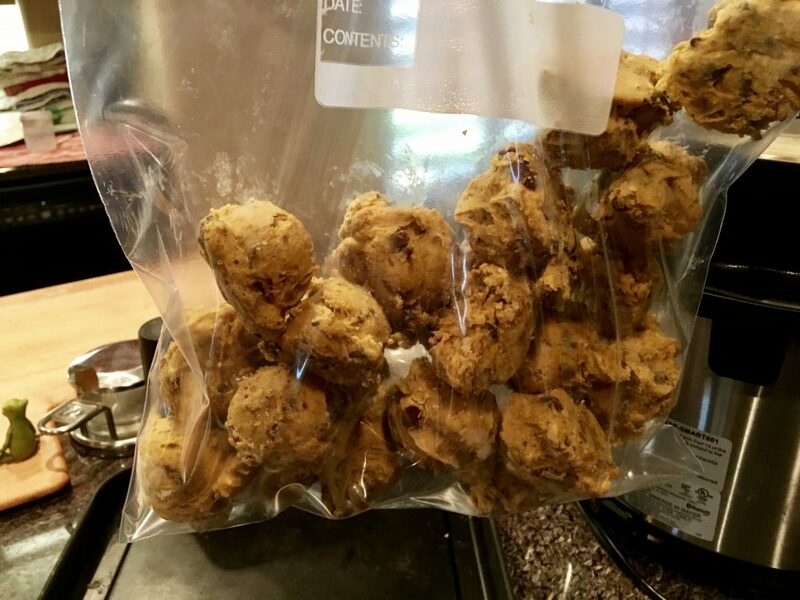 Raw cookie dough balls ready to freeze for 2 hours. 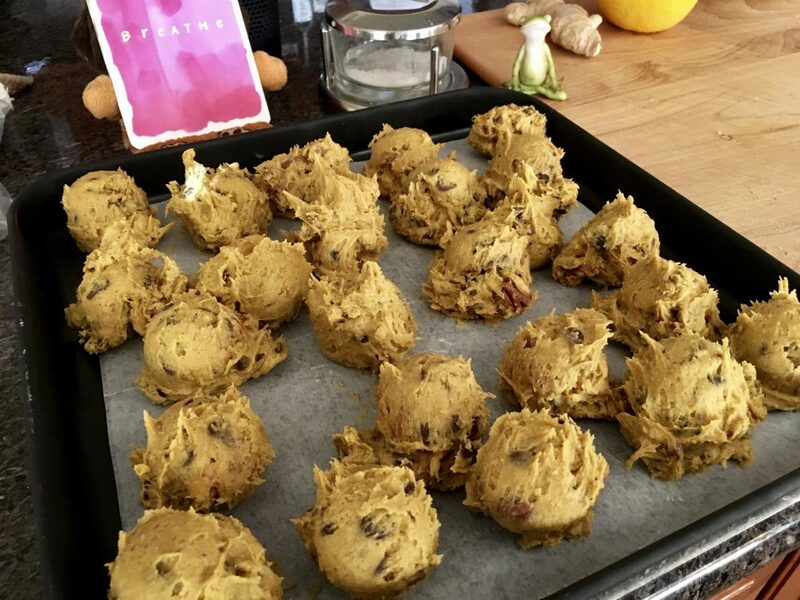 Errr… if you’re wondering my cookie dough looks so yellow, it’s because I added turmeric to them. Of course.